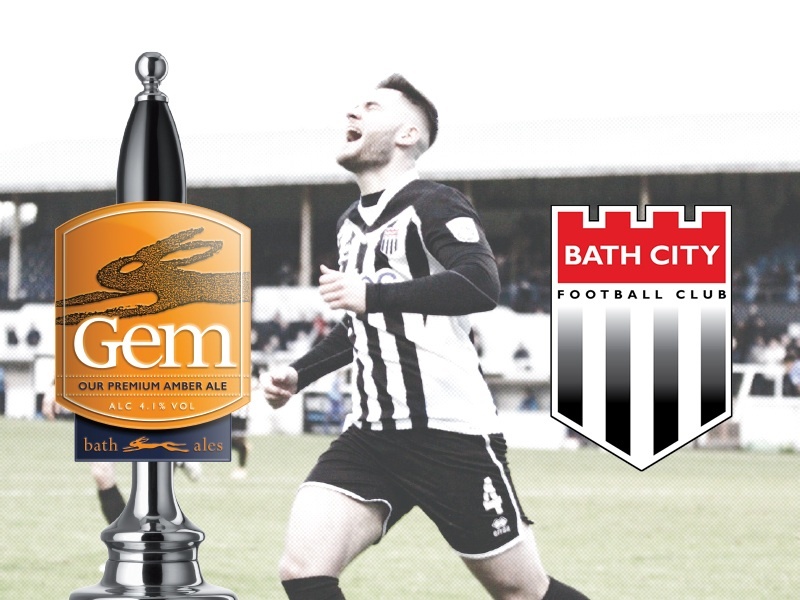 Be sure to allow a little more time for your visit to Twerton Park this Saturday as we have plenty lined up for you. On the pitch, Jim Rollo takes charge again for our League fixture against Wealdstone. The Stones currently sit five places and six points behind Bath City, but arrive in a rich vein of form having scored 11 goals with only one conceded in the past three matches – and we can expect them to bring a vocal following to add to the atmosphere. Meanwhile City are enjoying a good run as well, with four wins on the trot, 11 goals for and just two against, and sit just one point off the play-offs. So possibly an attacking feast in prospect. Off the pitch we have lots going on to officially celebrate the launch of our partnership with Bath Ales. There will be free tastings of their flagship ale, Gem as well as a prize draw to win three Gem micro casks. Plus we’ll have buskers from Bath College around the ground and bars, as well as Fire & Brew’s pizza stall outside the ground to keep you well fed, from 2pm till after the match – and MoBQue inside. After the match make sure to join us for the Man of the Match presentation in Charlie’s followed by a live band to keep the party vibe going into the evening. The MOTM presentation is proving a popular new event, creating a buzzy post-match atmosphere and giving you, the fans, the chance to pitch questions direct to our players. With no other events booked in Charlie’s that night, we can all relax and will keep things going as long as you want! So – make a day, and evening, of it this Saturday at Bath City v Wealdstone. Bars open 12pm till late.